View Bowsland Green Primary School details on the OFSTED website. The school has been transformed since the last inspection by the inspirational leadership of the new headteacher. A clear impact of the headteacher’s leadership is the outstanding behaviour of pupils and their extremely positive attitudes to learning. Pupils’ personal development is outstanding. Teaching consistently encourages pupils to try their hardest and take on greater challenge. Regular, accurate assessment of pupils’ skills and knowledge is used to ensure a good match between each unit of learning and pupils’ abilities. 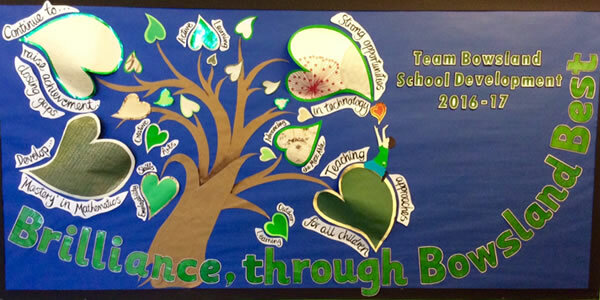 Pupils feel very safe at the school and like the staff very much. The school’s clear approach to shared values creates a highly supportive and nurturing atmosphere. This strongly supports pupils’ spiritual, moral, social and cultural development. Disadvantaged pupils receive a good level of support. They make rapid progress in all areas of their development. 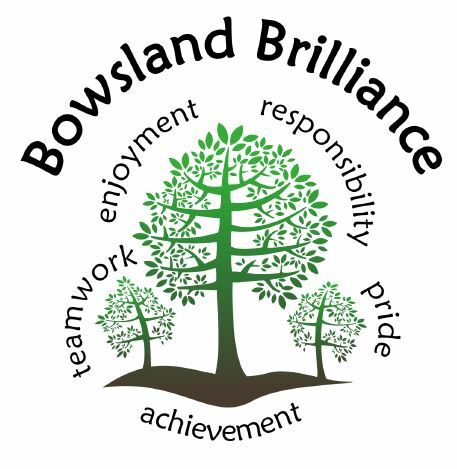 Bowsland also works within a network of four other schools which is now in its second year of development. This helps our school to make progress and makes sure that we are outward facing, not just thinking about what our children are achieving but how this compares to other schools. We challenge each other on high standards and best value for our children, conduct evaluation of each other’s practise and help each other to develop teaching and learning. There are also lots of opportunities for leaders to work together to take forward new projects. This year, we are planning opportunities for our children to communicate with each other too, both virtually and in person! Click the link to read our shared vision for our children and the linked action plan.